I have been dressing up in the privacy of my home. 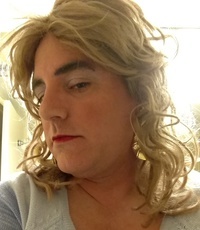 I'm looking for someone who will treat me as a woman and to spend some time with while dressed up. This will be my first time dressing up for someone. I am not a smoker and I perfer if you're not one too. I don't know how things will work out but am willing to see if you are. May be touched at sis41day2 at the y. Night watching a movie and drinking some wine with a man who knows how to treat me as a woman. Spending time as a woman with a man.